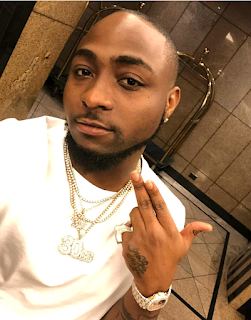 Lagos government refuses to give Davido a venue for his December concert "for supporting PDP"
Davido is currently battling to secure a venue for his December concert in Lagos as his request to use Eko Atlantic has been denied. Davido in a rant on Twitter revealed that the Eko Atlantic venue was not given to him due to his political alliance with a certain group of people. The singer, however, said the disapproval of the venue will not stop his show from going ahead as he promised to announce a new venue in due time. He also revealed that the intended show, tagged "City Of David Concert", is slated for the 27th of December, 2018, same date he did his highly successful "30BG" concert last year.